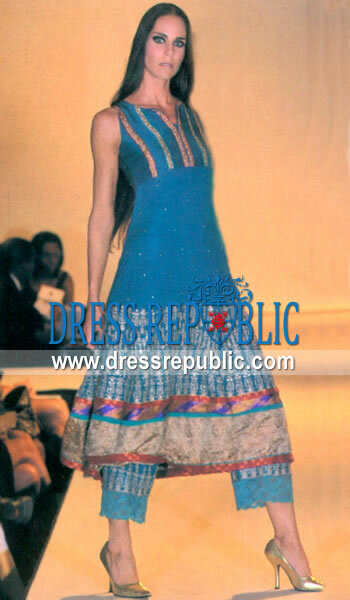 Top: Pacific blue chiffon empire line dress has wide heavy embellished border on hems. Diagonal striped and deep red banarsi borders. Antique gold satin border has been showered with sequins and beads. 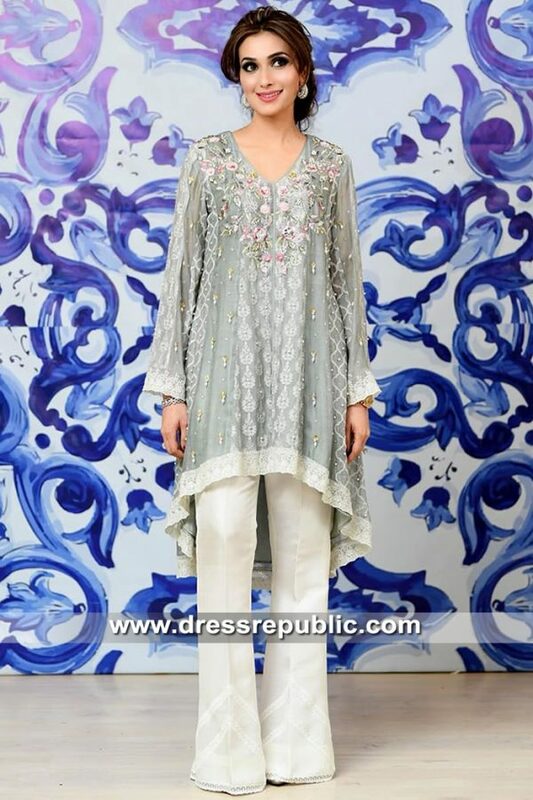 Bottom: Pacific blue raw silk caprice/cropped pants have embellished cuffs with net lace finish. Fully lined. Hidden zip closure. Stole: Pacific chiffon dupatta has scattering sequins work and dotted ornamental motifs. Finish with banarsi jamawar. 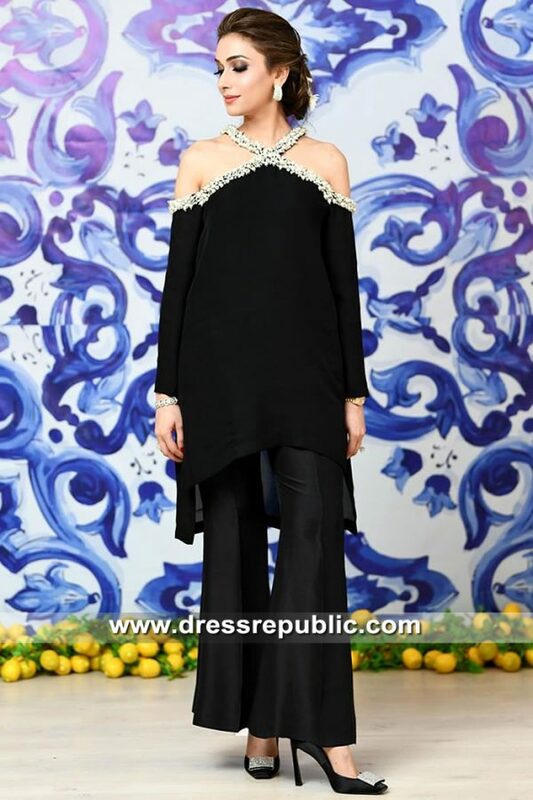 Embellishments made with sequins, beads, resham, Swarovski crystals and pearls. 100% natural pure fabrics. Fully handmade embellishments. 100% same as shown.